We are in the middle of November and I am writing an extended paper on Arctic hydrocarbon resources. Carbon budgets, temperature targets. 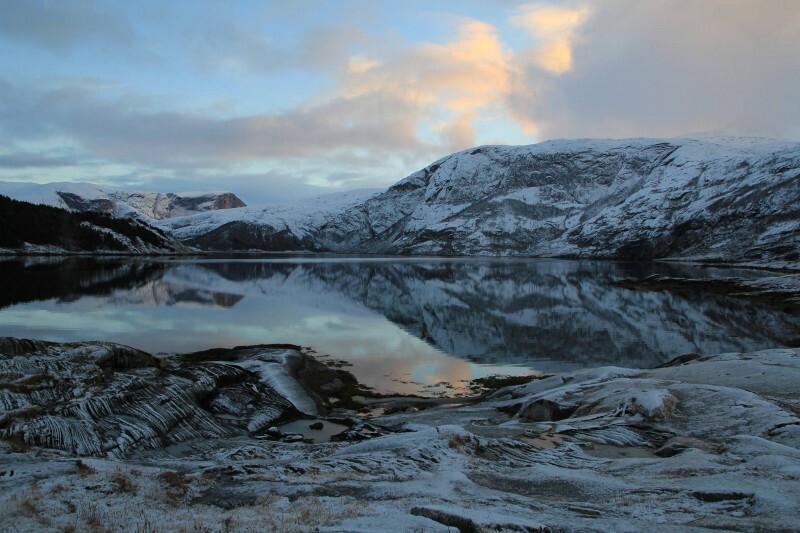 There’s a low pressure system off the coast, hurricane-strength winds were measured on the Lofoten Islands. I can see the stormy Norwegian Sea from my student flat window. Gale force winds pound the glass and horizontal rain pops against the building. I just took an online course on weather forecasting by the Royal Meteorological Society and University of Reading. I know what is happening. Visualisation of a cyclone that shrank and diminished sea ice in the Barents Sea in the winter of 2015–2016. Source: NASA Goddard’s Scientific Visualization Studio/Alex Kekesi. The cyclone I am under will move along the Norwegian Arctic coast toward the anomalously warm Barents and Kara seas. More warmth, more ice melt, more ice melt, more warmth. Weather is erratic in other Nordic countries too. Friends tell me Helsinki just got almost half a meter of snow, earliest onset of winter in decades. Today I’ve learned that all of it melted in days. Recent temperature anomalies in Bodø, Northern Norway. 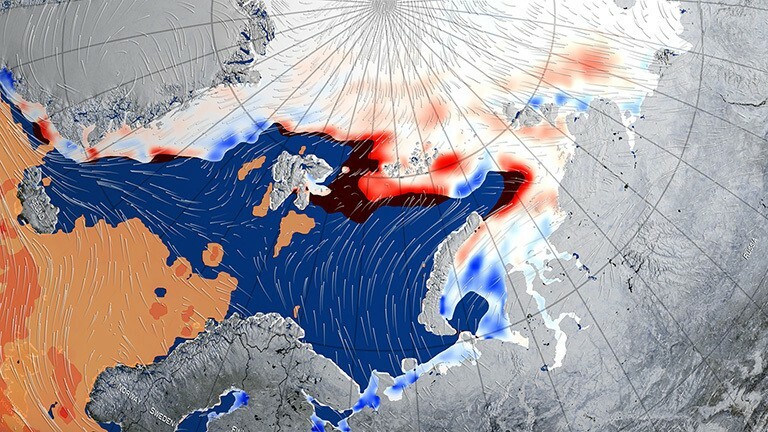 Source: Norwegian Meteorological Institute and the Norwegian Broadcasting Corporation. Scientists are worried. The story on Arctic weather and climate anomalies runs through the press against international political turmoil on the United States election of a climate change-denying president. All of this feels unreal, chaotic and imminent. I think we are past both hope and despair here. This is it. Control of the earth system is way beyond human reach. Arctic climate change has taken on a life of its own. The complexity of telling a story about climate change is staggering. It seems that many people bargain with their emotions, trying to make sense of the situation, looking for leadership. Yet, all the routines of life seem to go stubbornly on, almost untouched by the news cycle. Maybe this is psychological adaptation, perhaps denial, distancing. Again, it is hard to tell the story about climate change. I go to student parties, people ask what I study. Climate change and politics. Conversations are long, winding towards the fuzzy territory of hope and despair. Will our thinking shift and our action become guided by rationality or by emotion? Which option is preferred? Today, on the 27th of November there is a blizzard going on and the university campus is covered in fresh snow. Aarne Granlund (@granlund_aarne) is an MSc Student in Climate Change and Politics at Nord universitet (UArctic). His research focuses on polar climate change, evidence-based mitigation, adaptation, and security. He enjoys fly fishing.